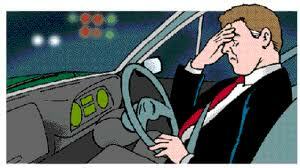 New research suggests that nearly a third of fatal accidents involve fatigued drivers. Driving under the influence of alcohol or drugs is known to increase the chances of causing an accident. For instance, marijuana can impair drivers’ reaction time. But what about drowsiness? As many as a third of all fatal car crashes might involve fatigued drivers, according to research by the National Highway Traffic Safety Administration. And a new study finds that driving while under the influence—of drowsiness—is exceedingly common. More than one in 25 people report actually having fallen asleep behind the wheel at least once within the past month, according to a new study from the U.S. Centers for Disease Control and Prevention (CDC). Unsurprisingly, drivers who are at risk of dozing are more likely to cause crashes that result in injuries or death than are alert drivers. “Drowsiness slows reaction time, makes drivers less attentive and impairs decision-making skills,” the report authors noted.